With the wide use and availability of the Internet comes convenience. But the Internet also brings all sorts of threats. If your company is like most, you have an endless amount of business data. Did you know that there is a 1 in 4 chance of your company being the victim of a data breach? Did you know that the average data breach costs more than $3 million? Preventing data breaches and other network security threats is all about hardened network protection. Without proper security protocols, your business data is at risk. 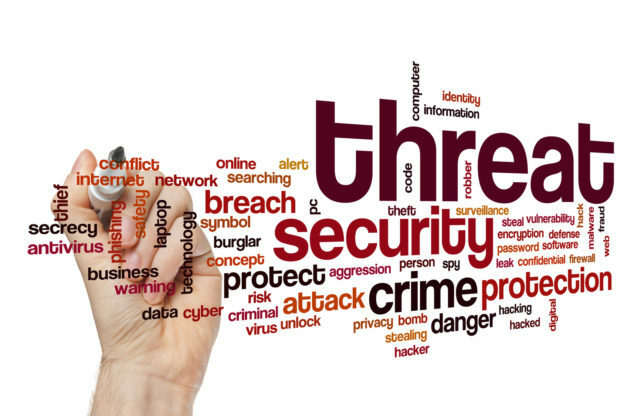 Read on learn about network security threats and how to mitigate them. Security is an important part of any company. As time passes, it’s easy to become lax on security measures. You don’t know the importance of proper network security until your company is victim of an attack. With so many network security threats, knowing how to protect your company is vital. Protecting your company is a must. Here are 5 security measures to implement. Access control is an important part of security. Weak access control leaves your data and systems susceptible to unauthorized access. Boost access control measures by using a strong password system. You should have a mix of uppercase and lower case letters, numbers, and special characters. Also, always reset all default passwords. Finally, create a strong access control policy. As pesky as those update alerts can be, they are vital to your network’s health. From anti-virus software to computer operating systems, ensure your software is updated. When a new version of software is released, the version usually includes fixes for security vulnerabilities. Manual software updates can be time-consuming. Use automatic software updates for as many programs as possible. Keep your systems protecting by standardizing software. Ensure that users cannot install software onto the system without approval. Standardization also makes system updates less of a hassle. Sometimes external threats are successful because of an insider threat. The weakest link in data protection can be your own employees. Ensure your employees understand network security. Your employees should be able to identify threats. They should also know who to contact to avoid a security breach. Provide security training throughout the year, and be sure to update it. There are new security risk every day. Do you have an internal dedicated team for I.T. security and support? If not, chances are your security stance is lacking. Rely on the experts for proper network security. You can depend on The AME Group for all of your technology needs. We provide technology solutions that mitigate risk while reducing cost. Don’t leave your business vulnerable any longer. Contact us today to boost your company’s security.